Ricoh Company, Ltd. (hereinafter referred to as RICOH) recognizes the importance of "Protection and use of personal information" in the global information society. In handling all personal information provided in the course of business, RICOH will comply with relevant laws and regulations and other criteria. Furthermore, RICOH will implement, apply, and manage voluntary rules in view of international trends for personal information protection. The rules will be instructed to and followed by all employees and other parties concerned, and will be maintained and reviewed continually. RICOH will acquire personal information by lawful and appropriate means, and will not collect personal information by improper means. RICOH will specify the purposes of use of personal information, and handle the personal information within the scope necessary for accomplishing the purposes of use. 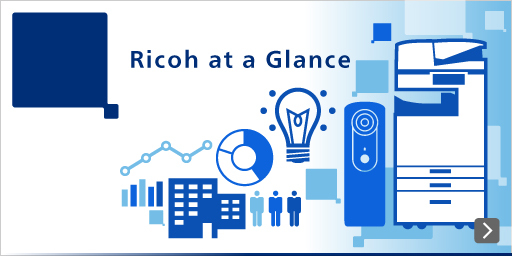 RICOH will endeavor to keep the acquired personal information accurate and up-to-date within the scope necessary for the purposes of use. RICOH will give proper consideration to allow a person who is the subject of personal information (the principal) to be appropriately involved in the handling of same information.